In this session, let us see some home remedies for certain situations normally used by grandma. I had personally seen that these cause no harm or side effects but tackle the situation effectively. Here, I am going to discuss only a few important ones as the entire list is huge and for which a separate blog would be necessary. This is a remedy for cough and cold for adults and also this removes hoarseness in the throat (sore throat). Roast the pepper and grind coarse. 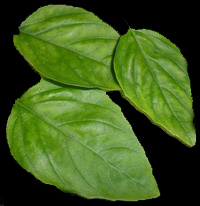 Mash basil leaves after washing (ensure that there are no insects or their eggs at the bottom of the leaves) and boil with ¾ cup of water with turmeric powder. Strain and add sugar or honey and ghI if available. Drink when warm. This is a remedy for cough and sore throat. Never boil any herb (bark, root etc) straightaway but first clean, break into small pieces either by flattening or with a small hammer/pestle and wash. In the same way clean the above, break into small pieces and flatten the above first and then wash. Strain the water and then boil all in a glass of water. Strain to extract the clear liquid. Add warm milk and sugar or you can take with sugar and without milk. This controls fever too. This is a remedy for digestion and acts as a good appetiser. Cleans your alimentary canal. 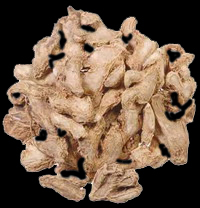 Wash the ginger, scrap the skin and cut into small pieces. Cut the lemons and extract their juice over a ½ tsp of salt and add to the ginger pieces after removing the seeds. Mix well and add a little more salt if you feel. Dry these well in the hot sun till become brittle. Store them after cooling in an airtight bottle. You can also powder this and store. Take daily in the early morning 1 tsp of this in empty stomach just 1½ hours before your coffee or tea. This removes the biliousness and the bitter taste. Wash and grind all the above into a paste. Add ½ a cup of water, little lime juice and salt or sugar and mix well. Drink in empty stomach in the morning 1½ hours before coffee or tea. 1. In case your child is having loose motion do not worry. Take a little fenugreek, roast and powder finely. Mix a little honey and smear this a little twice or thrice in a day on its tongue and stop once the loose motion stops. In the case of adults, you can soak a little fenugreek in curd and drink after it is soaked well. This also reduces the heat in the body. Never give this when the fever is high. Consult a doctor in that case. In the case of adults, tea liquor with a little lemon juice and sugar stops loose motion. 2. In case there is an abscess on the eyelids or the eye lids are swollen, take a little cooked rice and pour ½ tsp of castor oil. Mix well and place it on a clean cloth and give fomentation on it when warm. In the case of children and adults, if there is sty, then just apply a little castor oil on the eye lids. For babies, apply a little mother’s milk on the eye lids and not castor oil. 3. Many people do not know that taking of plenty of water every hour keeps the kidneys clean and saves people from kidney failure and dialysis. Besides, there is a natural her that is really wonderful to remove toxins and other chemical substances to keep the kidneys very clean. It is coriander leaves or cilantro leaves. Just take a bunch of leaves, clean and wash. Grind into a paste and boil with two glasses of water. Cool and strain to have clear extract. Refrigerate and take daily ¼ glass of this extract in empty stomach 1 ½ hours before coffee or tea. 4. Do you know that a tsp of turmeric powder mixed in warm milk and taken weekly thrice keeps arthritis under control? I will be back with some more medicinal recipes in my next session. This entry was posted on March 24, 2013 at 12:49 pm and is filed under Kadamba Recipes with tags atimadhuram, Basil leaves, Betel leaf, Black pepper corn, Cittarattai, clarified butter, coriander seeds, Dhania, dried ginger/ SUnT, Galangal/Alpinia rutans/ciratA, ghi, ginger, Grandma's herbal recipes, Jawa pepper corn, lemon, lime juice, liquorice root/jyEshTamadhur, MiLagu tuLaSi KashAyam, Pepper/Basil potion, Sugar or pure honey, sukku, table salt, tuLaSi, turmeric powder, VAl miLagu, white pepper corn with tail. You can follow any responses to this entry through the RSS 2.0 feed. Both comments and pings are currently closed.